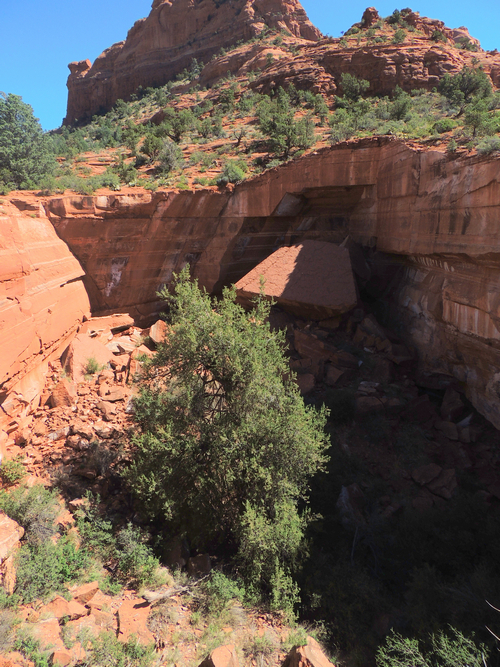 This is a short, fun Jeep trail very close to Sedona. 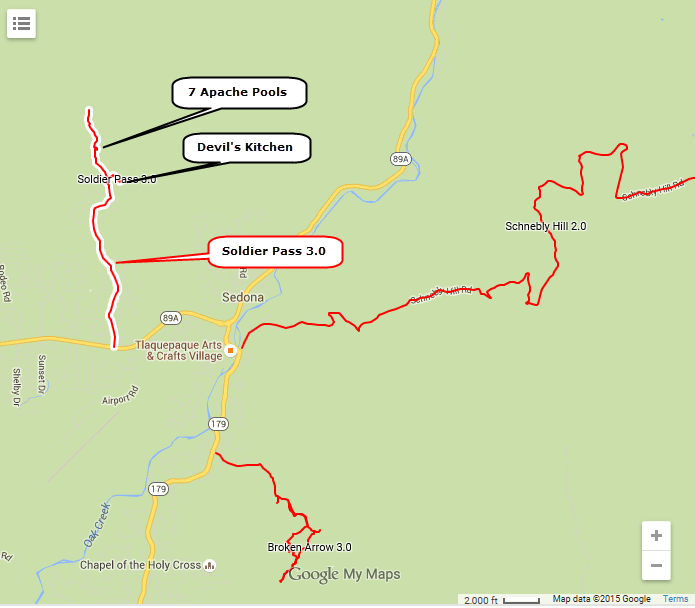 The 3.0 rating is from a side road to the Devil's Kitchen, another sinkhole. The main attraction of the run is 7 Apache Pools. A series of 7 small water-filled pools just off the road. No need to drive beyond the Pools to the end of the road. This section is unremarkable. 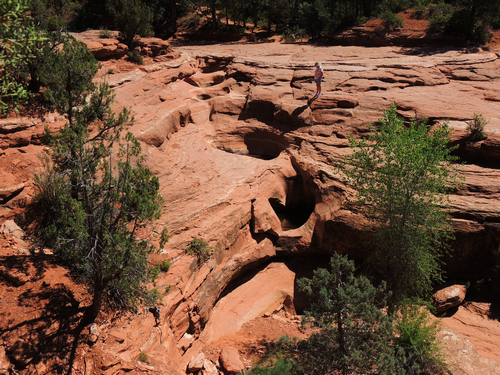 We have not been to Sedona lately, but it appears this trail is closed to all but Red Rock Jeep Tours. News article prior to final decision.